The Atiku Presidential Campaign Organisation has described the All Progressives Congress as being dishonest on the issue of restructuring of the country. 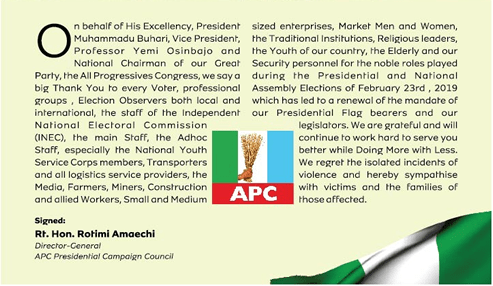 The APCO said this in a statement on Monday in response to the APC, which accused former Vice President Atiku Abubakar of dishonesty on the issue of restructuring. 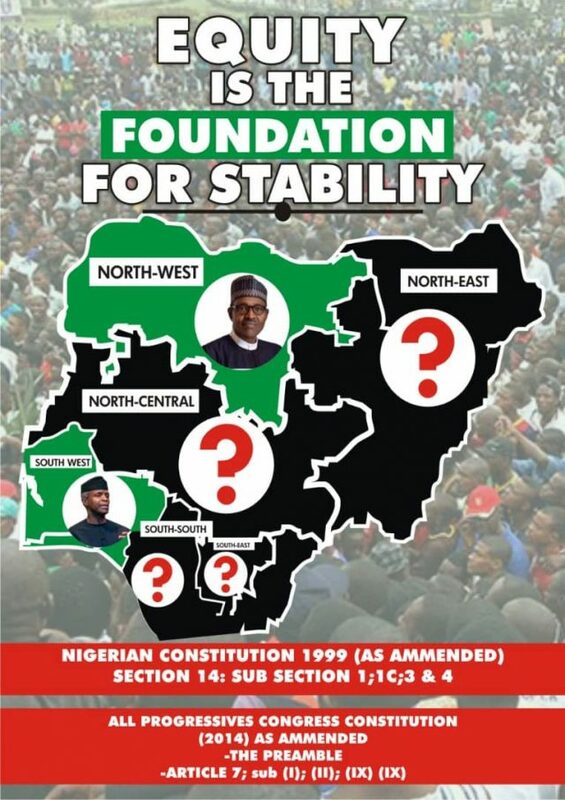 It said: “Our attention has been drawn to a statement by the All Progressives Congress attacking the credibility of Atiku Abubakar for his principled stand on the issue of restructuring, an idea whose time has come. “It is a sign of the desperation of the All Progressives Congress that the party can officially attack His Excellency, Atiku Abubakar, and call him a ‘latter-day convert’ to the idea of restructuring and accuse him of exploiting ‘populist political campaigns’.